Wall Street closed at four-month highs and the dollar extended losses ahead of the FOMC two day monetary policy meeting, which kicks off today. The FOMC monetary policy announcement is due on Wednesday at 18:00 GMT. Owing to a weaker run of economic data, the Fed are expected to rein in the number of expected interest rate rises, which currently sits at two across the year. Close attention will also be paid to any plans to run down the balance sheet and the Fed’s economic forecasts. The prospect of low rates for longer is music to the ears of equities, as firms benefit from lower borrowing costs. However, the prospects of a more dovish Fed weighed on demand for the dollar across last week and continues to do so in early trade this morning. The dollar index shed 0.7% in the previous week and has lost a further 0.17% so far this week as it targets 96.00. Asian markets lacked direction overnight as traders await news from the Fed. European bourses are pointing to a lacklustre start. The pound was stable versus the euro and the dollar, after selling off in the previous session as Theresa May’s Brexit strategy is left in tatters. 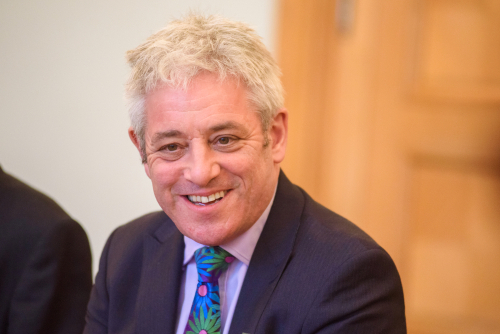 The implementation of a rule by the House of Commons speaker John Bercow to prevent Theresa may from bringing her Brexit deal back to Parliament for a third meaningful vote is receiving a mixed reception by traders. Without a work around, Theresa May will have to go to Brussels to request an extension to Article 50 without a solid plan in place. This means a lengthy extension of around 20 months is most likely. A long extension increases the likelihood of Brexit not going ahead, which is supporting the pound. However almost 2 more years of uncertainty and postponed business decisions and investment will be extremely damaging to the UK economy, which is pound negative. Whilst the Brexit drama continues to play out UK investors will glance towards the UK jobs report. The British labour market is strong and this is expected to be reflected in the report. Unemployment is forecast to remain at a low level of 4%. Wages excluding bonuses are expected to hold firm at 3.4% for another month. With inflation at 1.9% in January, this is strong real wage growth. This will be encouraging news for the Bank of England, who will be keeping a close eye on increasing inflationary pressures from wages, although their hands are still tied with Brexit. A strong reading could lift the pound back towards $1.33 should sentiment allow. Should the pound traders ignore a solid reading then we can assume the bias is against the pound and the trend will be pound negative.